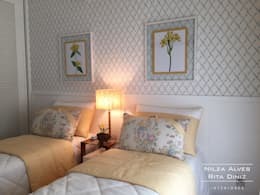 Casa Decor 2019 de 24 Janeiro a 10 Março, no edifício 86 of Calle Núñez de Balboa, Madrid. Estamos com empresas portuguesas e o Designer Erico Navazo Studio. A Pantone chama-lhe “Coral Vivo” e descreve a cor como uma junção de natureza e mundo digital, mas também como uma expressão de leveza e conforto. O ano de 2019 já tem a sua cor oficial. Sabemos que a Pantone é uma autoridade inquestionável no que toca a ditar tendências na indústria do design. É claro que 2019 não é exceção e a empresa anunciou, na última quarta-feira, qual a cor oficial do próximo ano. O tom 16-1546, mais conhecido como “Living Coral” (ou Coral Vivo), foi escolhido pela sua mensagem de esperança e de mudança. “O Coral Vivo envolve-nos em calor e proteção e proporciona-nos conforto e leveza num ambiente em constante mudança […] Em resposta à investida da tecnologia digital e à crescente invasão das redes sociais no nosso dia-a-dia, andamos à procura de experiências autênticas e imersivas, que transmitam conexão e intimidade”, afirmou Leatrice Eiseman, diretora executiva do Pantone Color Institute, em comunicado. Gone are the days that wallpaper was seen as a little outdated or fuddy-duddy and though paint had a little spell in the limelight, when it comes to creating fabulous feature walls, nothing beats statement wallpaper! Even better than that is original wallpaper you have had made especially! Whether you choose to create altered perspectives or inject colour with your wallpaper, you can be certain that in just one weekend, you can totally transform a room and leave an imprint of your own personality for everyone to see. Step away from the paintbrush and grab your pasting table, because this is going to be fun! What a mind-boggling way to start this article! This is original wallpaper with the wow factor and we had to maximise the picture to make sure that actually was a feature wall, not an open loft apartment! One thing is certain; the room looks colossal with that picture in place! 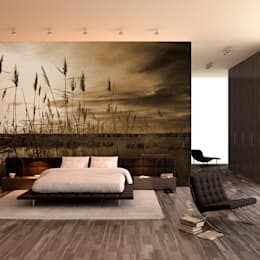 For-Arte are the creators of this amazing installation and they specialise in statement wall coverings with a difference. Just imagine what you could have in your home! We like the idea of a garden room with a glorious cacti covered background! When optical illusions don’t appeal to you but the notion of experimenting with some vivid colours and patterns does, playing around with a cacophony of original wallpaper is definitely for you! You will even be shocked at what is freely available. 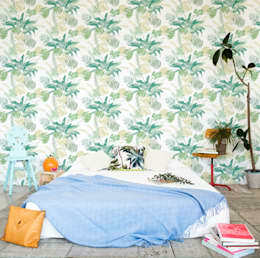 Palm trees for your bedroom? No problem! Flamingos for the lounge? Why not! Your home is an expression of who you are, your tastes, passions and interests so as long as you love what’s on the walls, who cares what anyone else thinks? Although if you do go for flamingos, please let us know as that sounds fab! 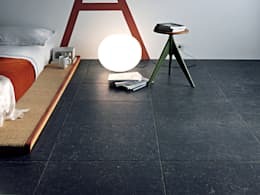 Cohesive interior design has become increasingly important in recent years and as a result, certain franchises have sought to provide everything you could possibly need to decorate children’s bedrooms with one theme in mind. When we say everything, we mean everything! Bed linen, curtains, furniture, lamp shades, toys and original wallpaper are all now available with your kids’ favourite motifs and characters on them and while this might only be in favour for a short period, you will be the best parents ever for embracing it! If you can dream it, you can do it. No, we haven’t gone all Disney on you, but we are fortunate enough to exist in a world where you can personalise or customise essentially everything, so you can really let your mind take the lead when it comes to creating and using original wallpaper. Bright colours, tactile flock finishes and multiple patterns are all at your fingertips, so we think you should consider which room you are playing with and go from there. We love this example, as it makes for an incredible studio space! How could you not be inspired in here? We’ve seen a lot of examples of open plan living spaces being separated into their functional zones with different floor coverings, but what about trying the same thing with wallpaper? As long as the colours or patterns work together, there should be no issue with creating a visually beautiful and well laid out space. While we love clashing patterns and colours, on a large scale you might want to be aware of avoiding that. You could quickly shrink a large space by having too many dominant additions in one area, so while you should try to find some original wallpaper that you love, really keep things balanced if you are using a few together! Wallpaper on the ceiling? We can hear you asking that out loud in an incredulous voice from here, but we aren’t crazy! Not only is this a great way to add some texture to your ceiling, but if it’s uneven or showing hairline surface cracks in the plaster, this is a great way to cover them up! You could choose to continue the wallpaper that you have on the walls up and over, or opt for something plain that will still give your space a finished feel. Either way, it’s not as odd as you might think and is a great way to try your hand at original wallpaper placement.